During the summer of 2004, Livingston Manor’s Congregation Agudas Achim was blessed to hire nationally renowned and respected Rabbi Pomerantz. His innovative services are characterized by his warm personality and love of music. He leads prayer with a manner encouraging spirituality; he keeps his congregation in the song beat with a drum. For Agudas Achim, Rabbi Pomerantz has officiated over b’nai mitzvoth as well as funerals. He’s encouraged innovative musical participation, with youngsters, teenagers, and adults as instrumentalists and song leaders. The congregation is blossoming under his spiritual leadership as he continues to help adults and youth members develop a greater awareness and appreciation of their Jewish heritage. 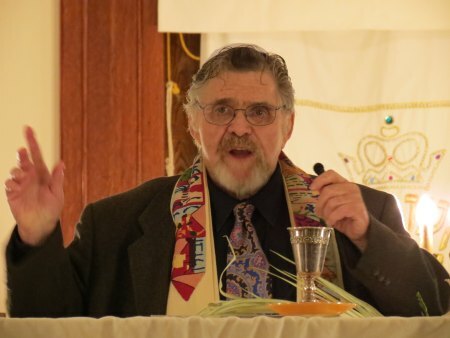 Rabbi Pomerantz has led Reform congregations since 1968. As part of his spiritual leadership, he has used different styles of music and meditation to develop many different types of innovative services. His most outstanding work is “Sim Shalom” which incorporates jazz, traditional melodies and reflective meditations. This service has been performed professionally throughout the United States. Rabbi Pomerantz has served on the Board of Trustees of the Central Conference of American Rabbis and was a member of the committee that created the prayer books for the Reform movement. B’nai Brith has recognized his efforts in inter-faith collaboration. In addition he is a trained family therapist. The Levins serve as our cantorial duo for most Shabbat services. 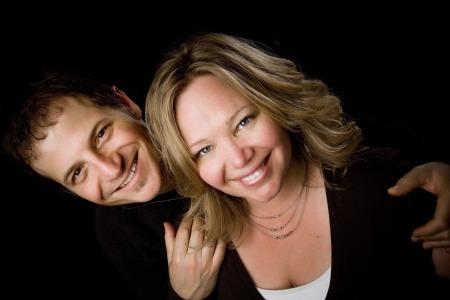 The Levins are an award-winning folk music duo, well known for the blending of their voices, acoustic guitar, and piano. They have released numerous albums and perform regularly though out the New York Metropolitan Area. However, they are also well known in the Jewish music world. They have earned many awards for both their secular and spiritual music. They have performed for URJ gatherings, the International Jewish Music Festival and are the winners of the prestigious Shaleshale Award. In addition to becoming our cantorial duo, they work regularly for Cong. Beth-El of South Orange, NJ and East End Temple in Manhattan. Each year they return to their California roots to lead High Holiday service at Peninsula Temple in Burlingame. Agudas Achim is blessed to have musical leadership of this quality. Their musical enlivens and enriches our Shabbat services. Attendance has increased significantly since they have been with us. To find out more about them and to hear their music go to http://www.thelevinsmusic.com. Sherree served as our High Holiday and Shabbat morning soloist. 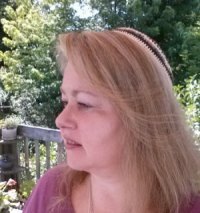 Her beautiful voice and traditional approach to the “hazzan” role help stir our souls. The warmth of her personality has made her a welcome addition to our community. Three different congregation hire her to be a Covering Rabbi when needed, Sherree is a also freelance Jewish educator..who specializes in tailoring her instruction to the needs of the individual student..This skill is reflected in her work with special needs children in programs sponsored by Jewish Family Services in Orange County. She is continuing her Rabbinic studies at the Academy for Jewish Religion. We wish her the best as she moves on in her career. Please join us for the High Holidays 5779 as we welcome Cantor Barr as she brings her 20+ years of cantorial, spiritual and musical experience to Agudas Achim.